It's one of the most exciting events of the year and never disappoints. 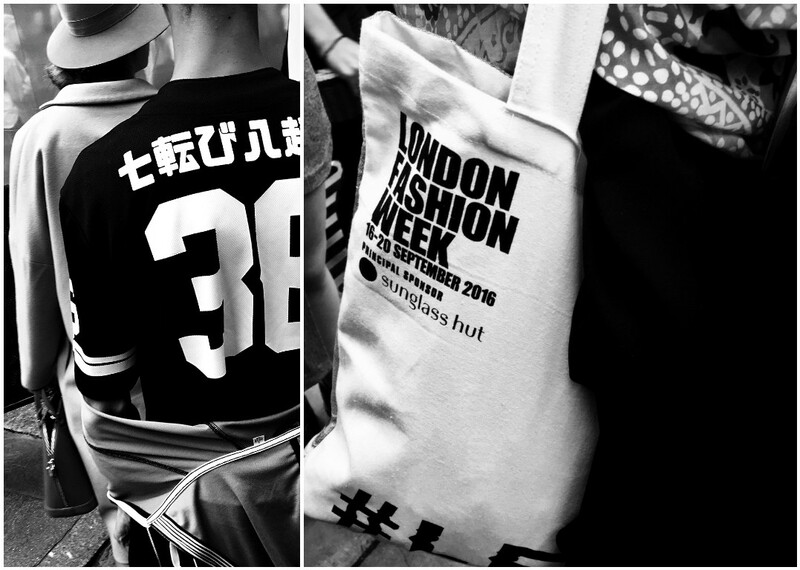 London fashion week has become a beacon in the world of fashion and leads the way for designers to showcase their new collections off to the world. The trends also carry onto the streets and industry insiders can be seen heading out, displaying their unique style with the hope of being 'papped' for magazines and blogs. They can spend month's creating their outfits and planning what to wear during the event. 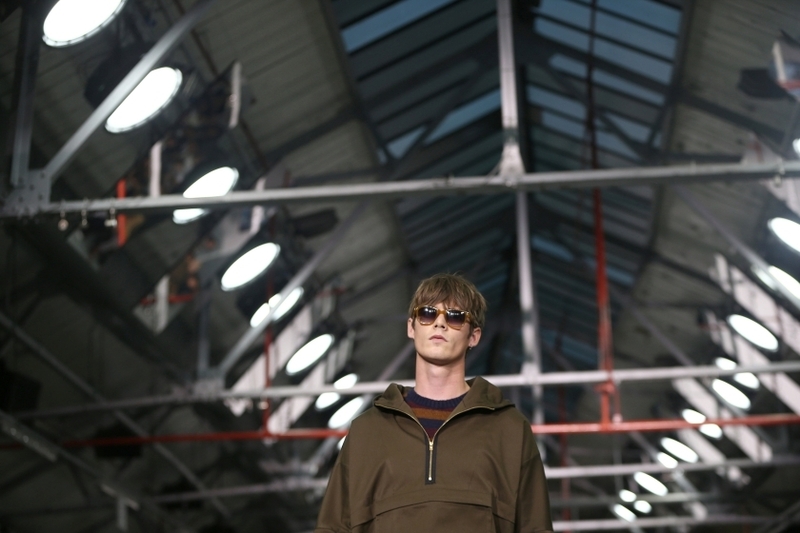 It's also a brilliant chance to see a few celebs from the world of fashion, including David Gandy, Alexa Chung and the notorious Anna Wintour. A regular favorite of mine is Youtuber, Blogger, and GQ Contributor - Jim Chapman. He always comes through with a great choice of outfits and make sure to stand out from the crowd, even in the simplest of outfits. 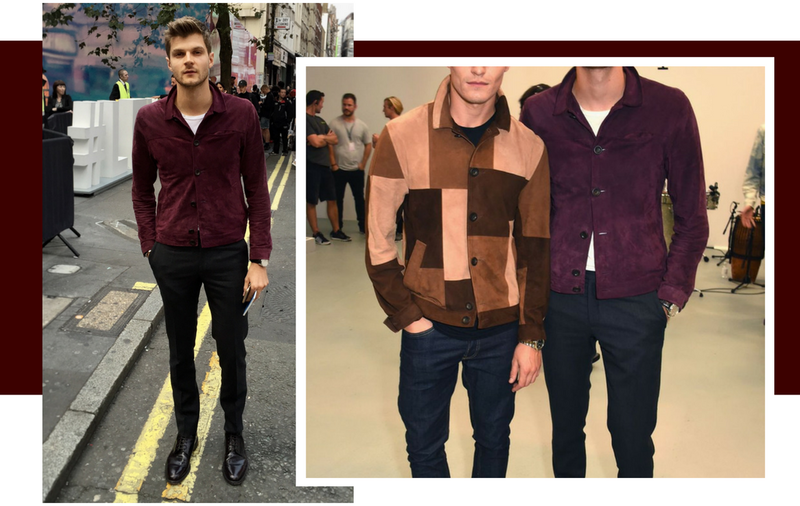 This maroon jacket pairing is what he wore to the Oliver Spencer show, which he also hosted, to close the week's events. I personally love the jacket and want to get my hands on it, so I thought some of you would also like to shop the look. He's great at dressing for his shape, and being a tall guy, it can be hard to find the right fit. The slim silhouette gives a clean-cut finish to the look and the minimalist colour palette maintains the effortless style. (Shop the links below).